Welcome to www.pathtohealthandhealing.com. This website is owned and operated by www.pathtohealthandhealing.com. By visiting the website and accessing the information, products, services, and resources, you understand and agree to accept and adhere to the following terms and conditions in this policy agreement. This agreement is in effect as of February 17, 2013. We reserve the right to change the agreement without notice. You acknowledge and agree that it is your responsibility to review this agreement periodically and to familiarize yourself with this agreement. Your continued use of this site will constitute acknowledgement and agreement to all terms and conditions. On this site, all content, including text, graphics, images and information, contained on or available through this web site is for general information purposes only. Please see a medical professional if you need help with depression, illness, or have any concerns whatsoever. WE DO NOT OFFER MEDICAL ADVICE, COURSE OF TREATMENT, DIAGNOSIS OR ANY OTHER OPINION on your conditions or treatment options. SERVICES OR PRODUCTS THAT YOU OBTAIN THROUGH THIS WEB SITE are for information purposes only and not offered as medical or psychological advice, guidance or treatment. We are not a replacement for seeking advice from your medical primary healthcare provider. By visiting our website and accessing the information, products, services, and resources provided for you, either directly or indirectly, you agree to use this information only for the purposes intended as permitted by (a) the terms of this User Agreement, and (b) applicable laws, regulations and generally accepted online practices or guidelines. Wherein, you understand that accessing our resources, you may be required to provide certain information about yourself (such as identification, contact details, etc.) as part of the registration process, or as part of your ability to use the resources. You agree that any information you provide will always be accurate, correct, and up to date. When a login in is used it is your responsibility for maintaining that information. Trying to access our site by other than the means we provide is strictly prohibited. You also understand that engaging in activities that can interfere with or disrupt this site including the server and/or network is strictly prohibited. You will not reproduce, copy, duplicate, sell or trade our resources. As a result you can be held accountable in civil or criminal liability. We do not assume any liability for any content posted by you or any other 3rd party users of our website. However, any content posted by you using any open communication tools on our website, provided that it doesn’t violate or infringe on any 3rd party copyrights or trademarks, becomes the property of www.pathtohealthandhealing.com, and as such, gives us a perpetual, irrevocable, worldwide, royalty-free, exclusive license to reproduce, modify, adapt, translate, publish, publicly display and/or distribute as we see fit. This only refers and applies to content posted via open communication tools, testimonials as described, and does not refer to information that is provided as part of the registration process, necessary in order to use our Resources. You agree to indemnify and hold harmless www.pathtohealthandhealing.com from and against all losses, expenses, damages and costs, including reasonable attorneys’ fees, resulting from any violation of this User Agreement or the failure to fulfill any obligations relating to your account incurred by you or any other person using your account. We reserve the right to take over the exclusive defense of any claim for which we are entitled to indemnification under this User Agreement. In such event, you shall provide us with such cooperation as is reasonably requested by us. By using our website, you understand and agree that all Resources we provide are “as is” and “as available”. This means that we do not guarantee or warrant to you that we will meet your needs, confirm the information is accurate and free of errors. However every attempt will be made to make the information as accurate and reliable as possible. Furthermore, you understand and agree that any content downloaded or otherwise obtained through the use of our website is done at your own discretion and risk, and that you are solely responsible for any damage to your computer, devices and yourself from the content you have accessed through this site. No information or advice, whether expressed, implied, oral or written, obtained by you from www.pathtohealthandhealing.com will provide you with any warranty, guarantee, or conditions of any kind, except for those expressly outlined in this User Agreement. In conjunction with the Limitation of Warranties as explained above, you expressly understand and agree that any claim against us shall be limited to the amount you paid, if any, for use of products and/or services. Path to Health and Healing LLC will not be liable for any direct, indirect, incidental, consequential or exemplary loss or damages which may be incurred by you as a result of using our website or the resources contained here-in, or as a result of any changes, data loss or corruption, cancellation, loss of access, or downtime to the full extent that applicable limitation of liability laws apply. Path to Health and Healing is a Limited Liability Company. All content and materials available on www.pathtohealthandhealing.com are protected by applicable copyright and trademark law. 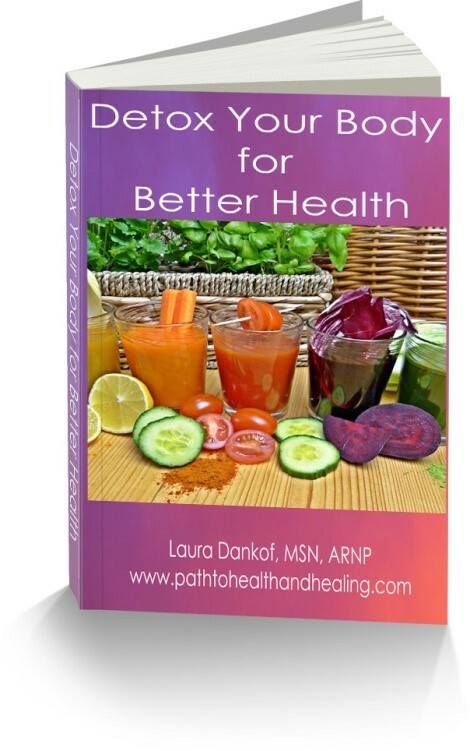 Any inappropriate use, including but not limited to the reproduction, distribution, display or transmission of any content on this site is strictly prohibited, unless specifically authorized by www.pathtohealthandhealing.com. You agree that we may, at our sole discretion, suspend or terminate your access to all or part of our website with or without notice and for any reason, including, without limitation, breach of this User Agreement. Any suspected illegal, fraudulent or abusive activity may be grounds for terminating your relationship and may be referred to appropriate law enforcement authorities. Upon suspension or termination, your right to use this site or the resources provided will immediately cease, and we reserve the right to remove or delete any information that you may have on file with us, including any account or login information. You should assume that the sender of this email has an affiliate relationship and/or another material connection to the providers of goods and services mentioned in this message and may be compensated when you purchase from a provider. You should always perform due diligence before buying goods or services from anyone via the Internet or offline. If you have any questions or comments about these our Terms of Service as outlined above, you can contact us at pathtohealthandheaing@gmail.com.